Community is extending the versatility of its flagship I SERIES loudspeaker systems with weather-resistant models of its I SERIES 800-Level and 600-Level loudspeakers. 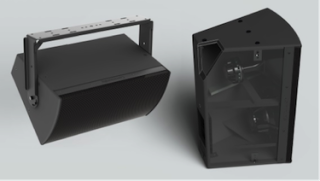 The I SERIES weather-resistant loudspeakers feature enclosures made with Community’s PolyGlas technology. The PolyGlas cabinets reduce lead times considerably and are virtually immune to the destructive effects of moisture and temperature cycling. I SERIES PolyGlas cabinets are constructed from a dense composite embedded with dual layers of fiberglass cloth and are built for a lifetime of performance outdoors. Finished cabinets are heavily coated with exterior-grade grey paint and a UV-resistant topcoat. The dual-layer powder-coated marine-grade aluminum grilles backed with NeverWet-treated acoustic fabric provide additional protection for the drivers. Custom color options and color-matched stainless steel accessory U-Brackets are available for all Weather-Resistant I SERIES models. All I SERIES loudspeakers are made in the USA at Community’s headquarters in Chester, Pennsylvania.